General Motors is the first car company to announce support for Apple's new "Eyes Free" mode for the iPhone, as the Chevrolet Spark and Sonic will be among the first vehicles compatible with Siri. Siri Eyes Free integration will debut in the Chevrolet models in the near future, according to GM Authority (via CNet). It's expected that a formal announcement will be made in the next 12 months, but media representatives for GM did not offer further details on timing. GM was listed among nine automakers last week by Apple when the company announced Siri Eyes free functionality at its annual Worldwide Developers Conference keynote. Apple's senior vice president of iOS Software, Scott Forstall, said those manufacturers have committed to implementing Eyes Free Siri integration in the next 12 months. 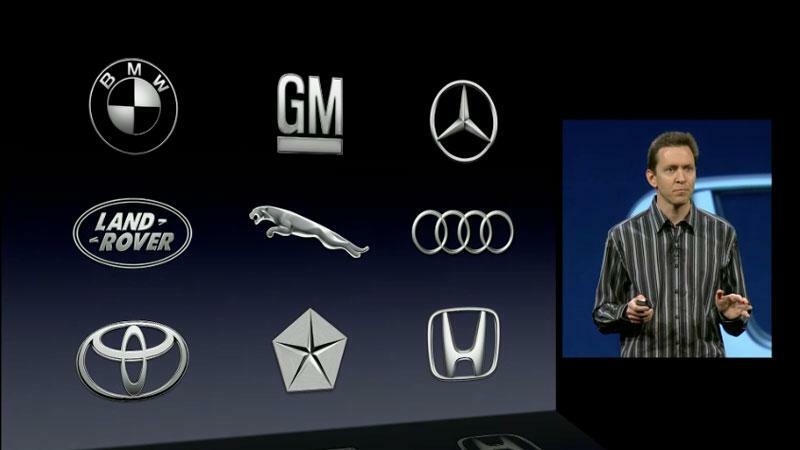 The full list of car makers revealed by Apple are GM, BMW, Mercedes-Benz, Land Rover, Jaguar, Audi, Toyota, Chrysler and Honda. Their vehicles will feature a button on the steering wheel that will bring up Siri on a connected iPhone. Eyes Free will allow users to call people, select and play music, hear and compose text messages, use Maps and get directions, read notifications, find calendar information, add reminders, and more. With Eyes Free, the iPhone screen will stay off so it does not distract the driver. Siri functionality will allow the driver to control man of the functions of their iPhone by using their voice, while keeping their eyes on the road.